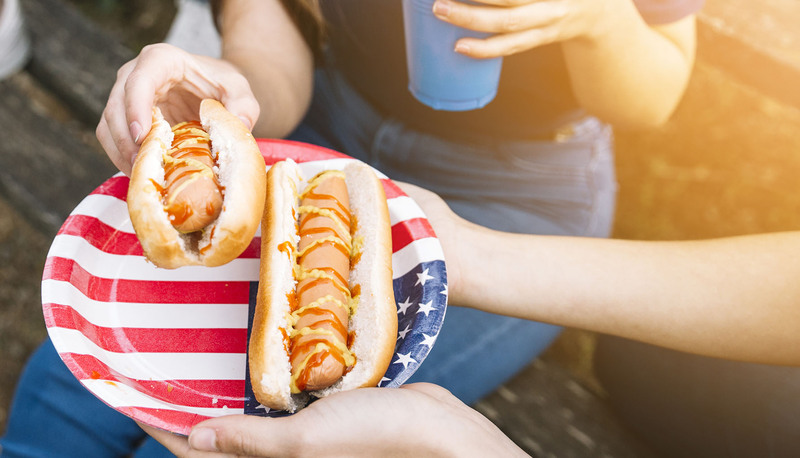 Proudly made in the USA since 1920, Sugardale hot dogs have been delivering great taste and good times for generations. From our uncured 100% Beef, Pork & Beef, Turkey, and Pork & Chicken varieties to our original lineup, Sugardale hot dogs offer all the flavorful fun in a bun you've come to expect. Do you love hot dogs? We're here to celebrate with everyone else who shares this love. That‘s why we’re collecting and sharing #HotDogConfessions from real people everywhere. Our hot dog packaging has a new design, but inside you'll still find the same delicious hot dogs you know – the tasty original that’s been a family favorite for nearly 100 years. You asked for uncured Sugardale hot dogs, so we're excited to offer four new uncured varieties: 100% Beef, Pork & Beef, Turkey, and Pork & Chicken. 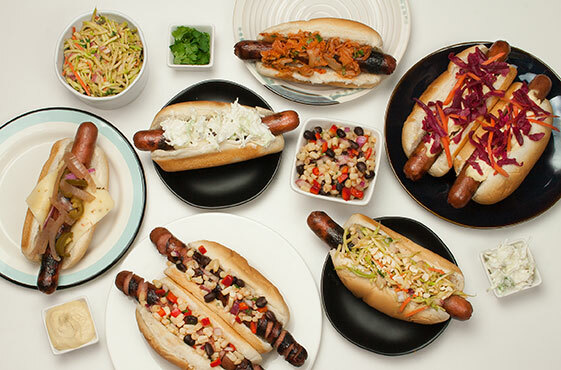 Hosting a get-together, party, or just looking for some new hot dog toppings? 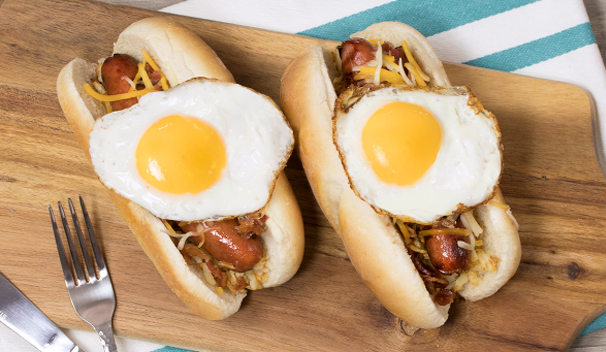 Hop over to this topping bar where we show you new ways to top your hot dog. 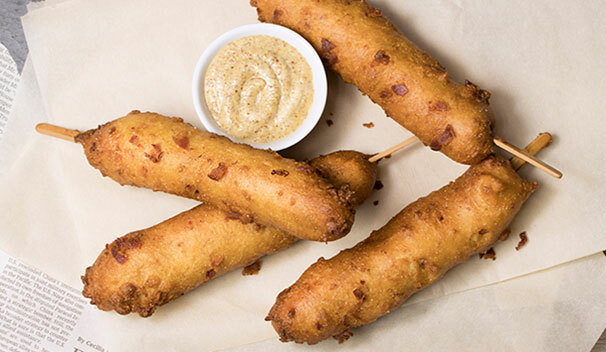 A twist on everyone’s fair favorite – we’re amping up this simple breading by adding bacon pieces. The best new way to eat breakfast for dinner. 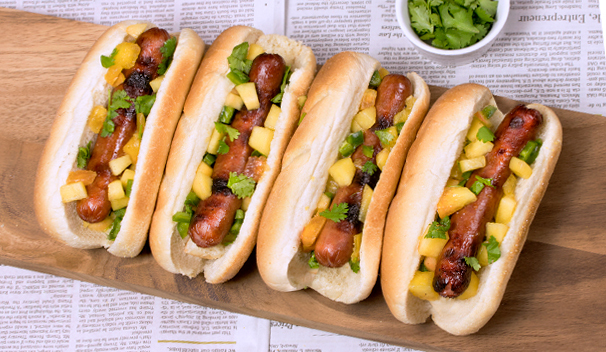 This hot dog recipe will brighten up your dinner table. Sweeten up your taste buds with this peach salsa on an American classic!